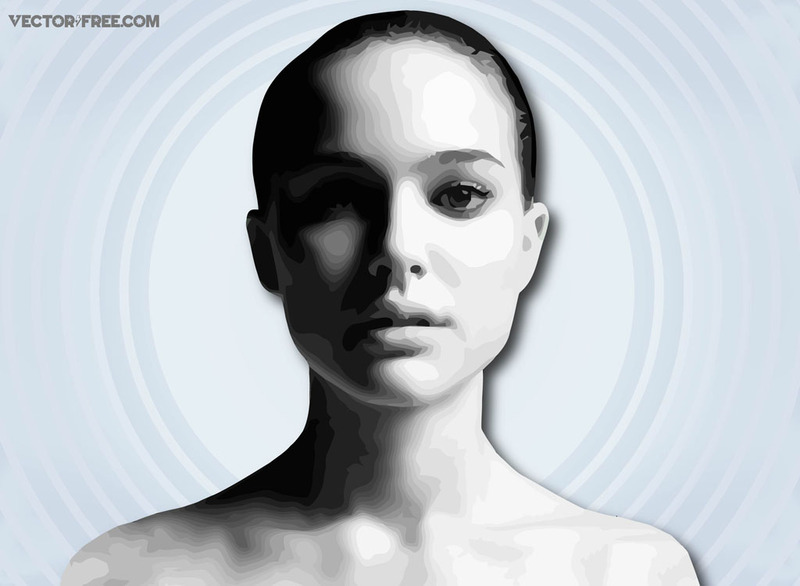 Vector illustration of the beautiful actress Natalie Portman. Not since the likes of Natalie Wood and Audrey Hepburn an actress possessed such a magic cocktail of beauty, wit and elegance. Roles in movies as Leon (The Professional), Heat, Star Wars, V for Vendetta, Brothers and Black Swan have made Portman one of the most successful actresses in Hollywood. Tags: Actress, Beautiful, Celebrity, Cinema, Famous, Film, Hollywood, Movie.